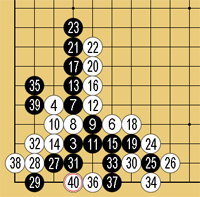 Following joseki is easy... but what happens when your opponent veers offcourse? Will you know how to handle it? 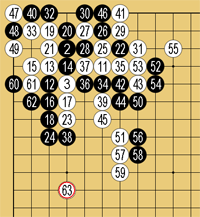 We present a joseki contest: three real high-level games containing joseki mistakes. Find the mistakes, then the best refutations, and win fabulous prizes. 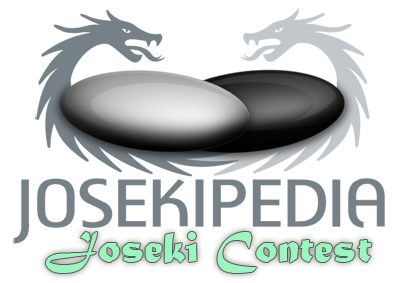 Even if you are not a joseki expert, you will learn a lot from participating in this contest! Any questions? Post them. This contest is jointly presented by Alexandre Dinerchtein, a 3-dan professional, and Josekipedia. Dinerchtein will judge the submissions and prizes will be awarded on the best responses. 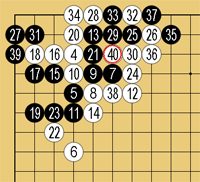 After the contest is finished, the correct refutations to the joseki mistakes will be revealed and added to the Josekipedia database. Click on a board image to download the SGF. Please email your answers in SGF format to backpast@gmail.com by April 30, 2010.